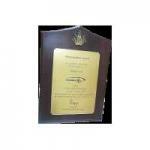 Awards - Olive Exports Pvt. Ltd.,Our Products Remain the Best Choice in Industry. We have around 10 patents into the domain of LED lighting for which we have got certification from the government of India and many other accrediting agencies of global stature. Lately we have filed applications to get patent for revolutionary LED lights that have potential to save the power load up to 98% for some specific uses. We are one among the chosen few companies in India that have earned coveted Carbon credit for innovative and Eco-friendly products. As we follow a well through- out quality management program â�� through which we systematically monitor and objectively evaluate the quality, efficiency and effectiveness of our products and services. Our products remain the best choice in industry for having unmatched electrical specifications and delivering the highest performance. 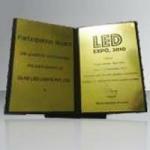 This has made us stand top in the field of LED lighting products.